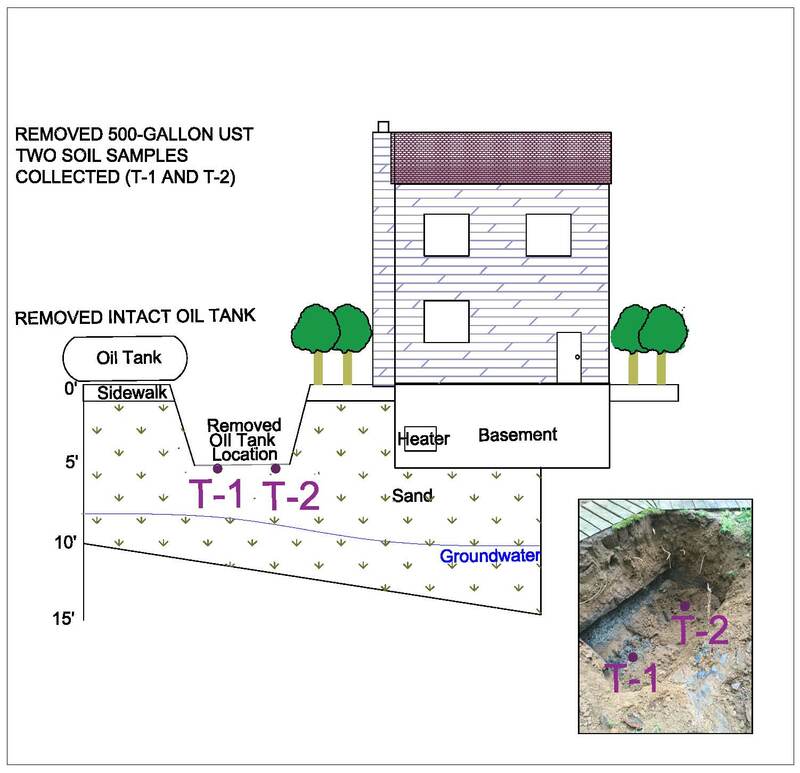 Steel degrades (rust) and oil can leak out of buried and above ground storage tanks. Majority of the time the tank rusts from the outside in as the exterior shell of the tank is exposed to moisture, which fuels rust. Tanks can also rust from the inside of the tank, due to water in the tank as well as the conversion of low suffer fuels that allow bacteria to grow in the tank, these bacteria release corrosive compounds that can actually corrode metal tanks. 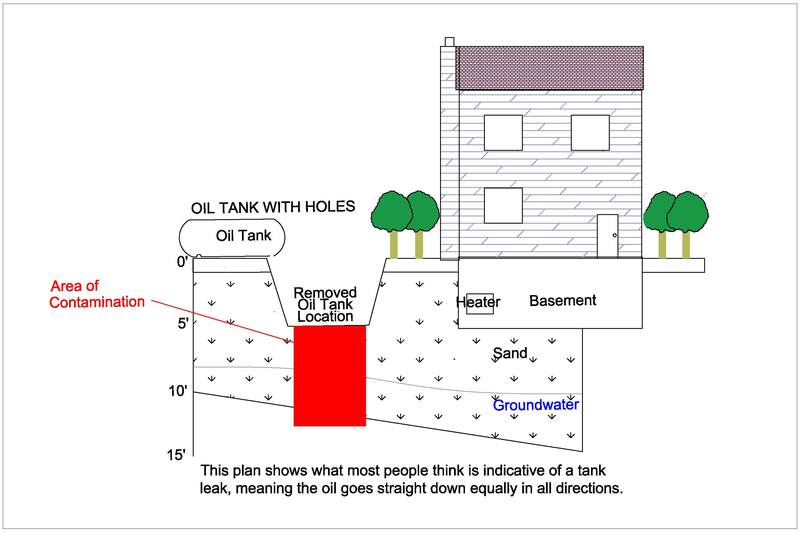 So now that you know that an oil tank can leak via several different ways, how do you cleanup a tank leak? 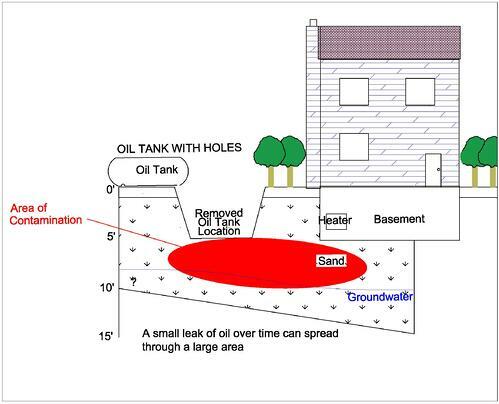 Well the first question in addressing an oil tank leak is determining how large or small of a leak occurred. Meaning how many gallons leaked out over what period of time? That is a million dollar question, that most no one can answer. 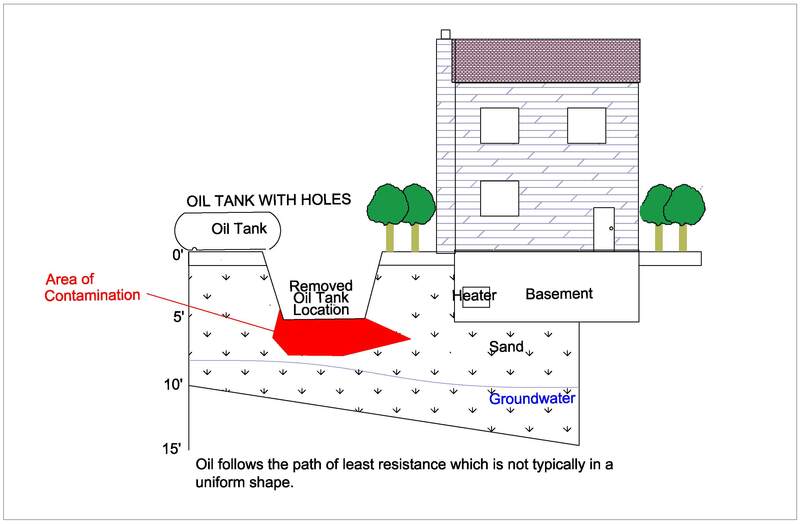 What also affects the area of contamination from an oil tank is geology, sand and silt can allow oil to flow more freely, where clay can be more restrictive in the movement of oil. Clay will expand and contract based on moisture content, when clay is dry fissures can open up allowing for small little highway for oil to travel. 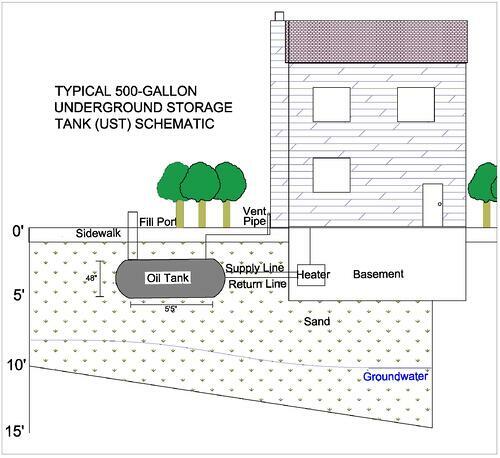 The following photo as an example of a typical 500 gallon oil tank. This photo shows the side view of a tank. The next diagram shows the tank removed. 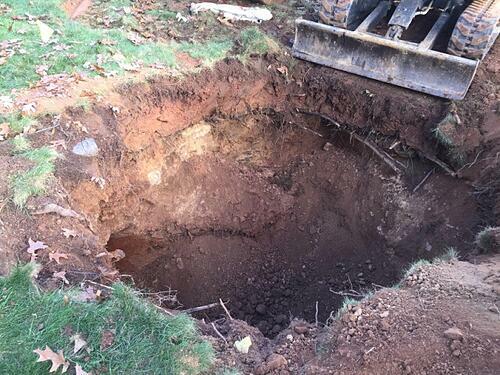 If you look closely at the excavation photo, you will see discolored soils. 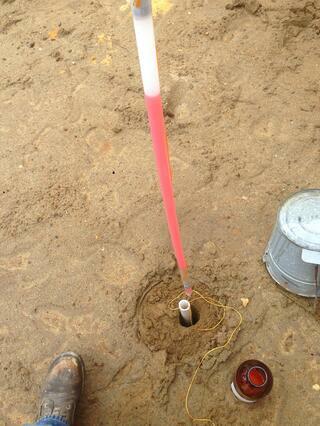 This is just a natural color of soils not an indication that oil stained the ground. Many people think that you can see oil in the ground, these people also think oil is black in color. These people are wrong on both accounts. Oil is dyed red, as it is similar in composition to diesel fuel, but diesel is taxed, oil is not. To prevent people from using heating oil in older diesel trucks, the government mandated that oil be dyed red. It is not like the Beverly Hillbillies where black gold is just. gushing from the ground. Heating oil is red in color. 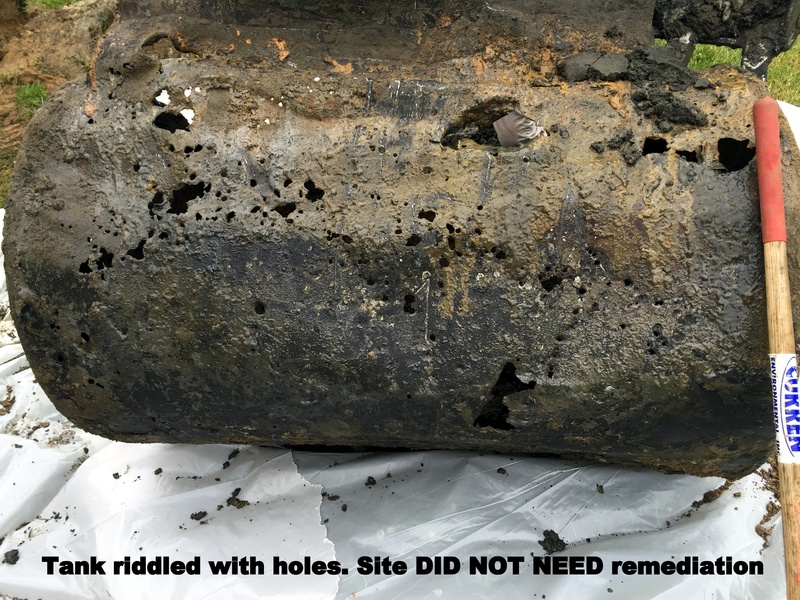 To be blunt, discovering you have a tank leak is your first step on the road to remediation and really the only reason you know you have to remediate is by obtaining soil samples from the removed tank excavation. Every state allows some amount of oil to remain. The samples acquired from the tank excavation paint a very small picture of the problem, which is the small flat bottom of where the tank was located. It does not tell you how deep the oil has traveled, nor does it tell you how far the oil has traveled to the North, South, East & West. 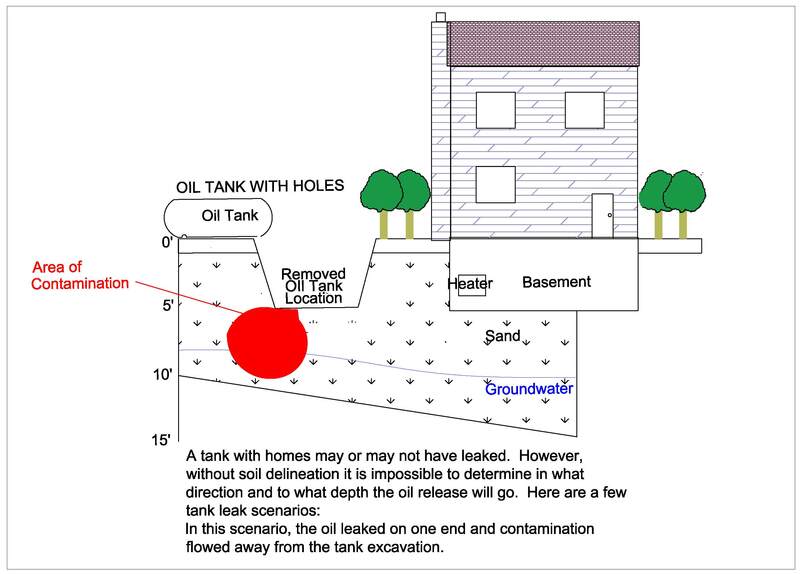 The following diagram shows what many people believe is their tank leak problem. 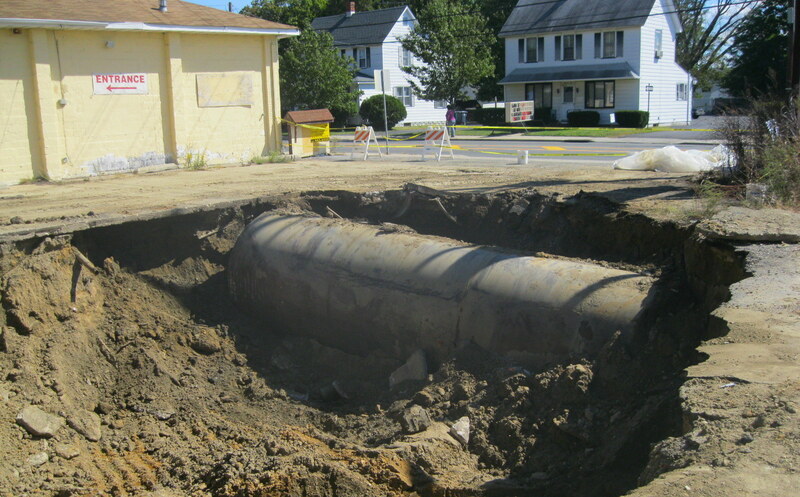 It shows a removed tank with a little spot of oil in the ground where the tank was formerly located. The following is another example of what most people believe oil does when it leaves a tank. This photo shows you what the ground actually looks like after removal. As you can see from the photo, no oil is visible in the ground. 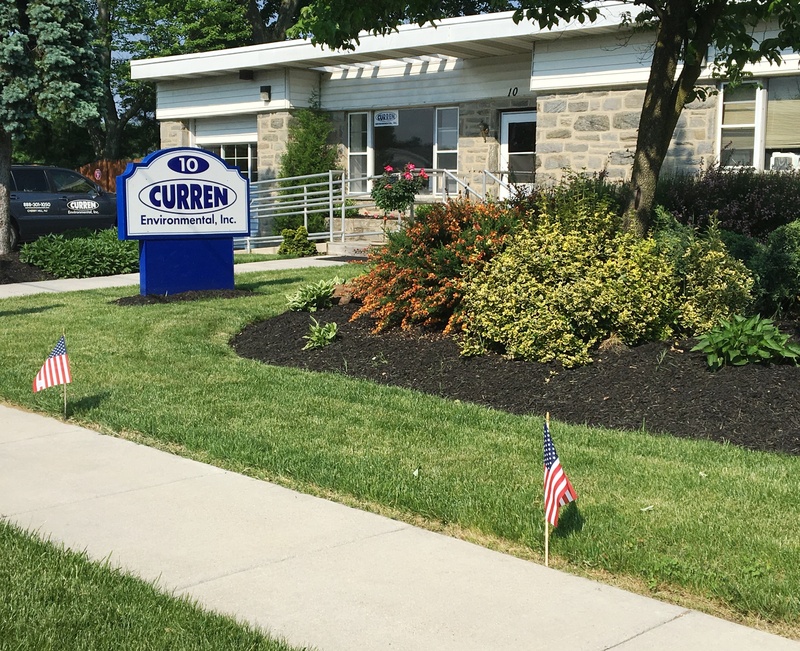 Curren nor any other company has x-ray vision to see into the ground and determine where the contamination starts and stops. To be fair the next two examples are more common, they both depict the oil following more traditional paths, neither of which is straight down. Both these examples show that oil did leak out of the tank and some oil is at the bottom of the tank grave, but oil also extends OUTSIDE the tank foot print. Take note that a 500 gallon tank is 5.5 long and 4' wide, not a very big area. How do you know how where the oil is? You delineate,you drill holes, take soil samples to find out where the oil is, both vertically and horizontally. 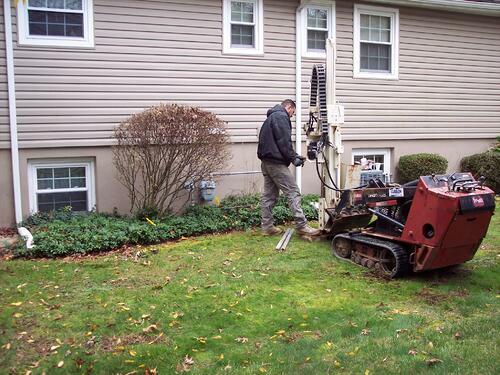 The image above show an ATV drilling unit drilling around a leaking oil tank. 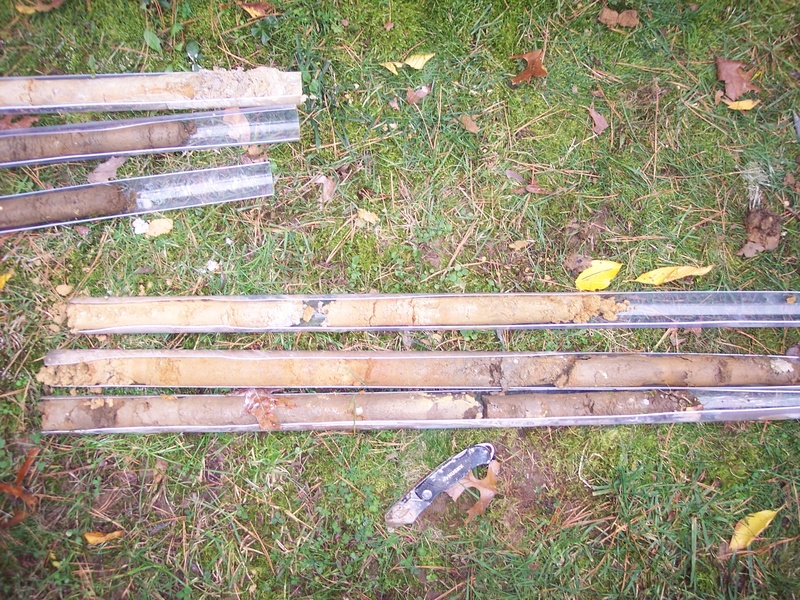 The photo below shows the soil cores the drilling unit obtains. The soils borings or delineation is similar to biopsy that a doctor would do to define cancer. 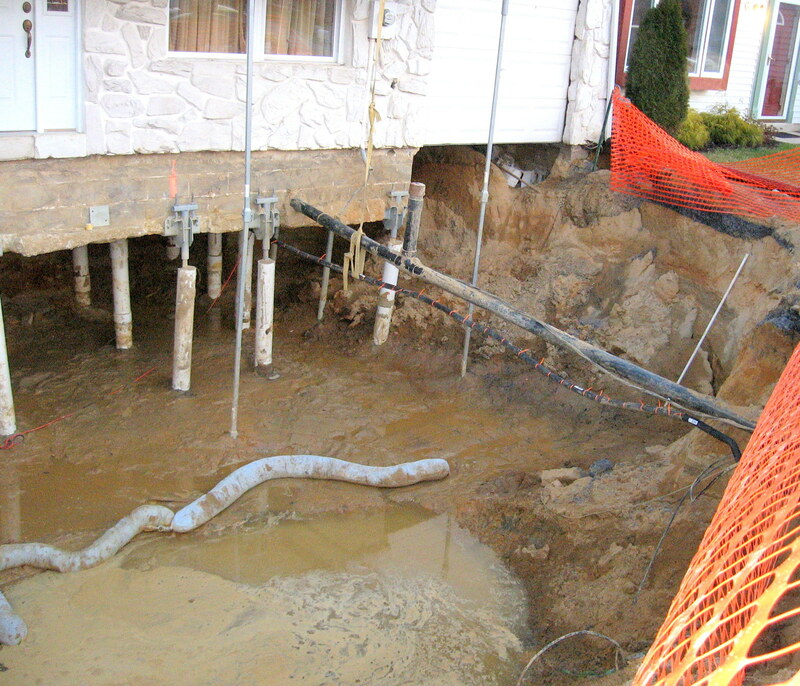 Remediation costs are almost always more expensive than just a tank removal. Small remediations can start around 5K and go up from there. 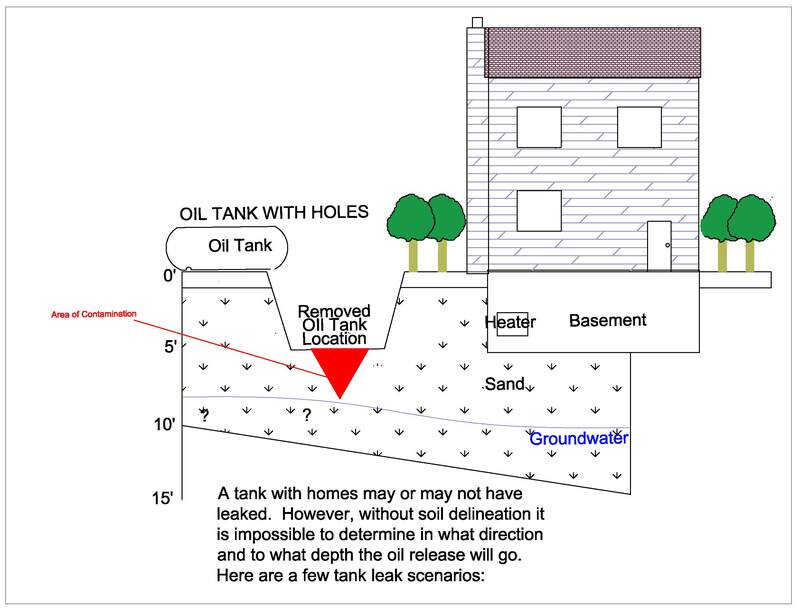 The below diagram show a not quite typical but still common tank leak. 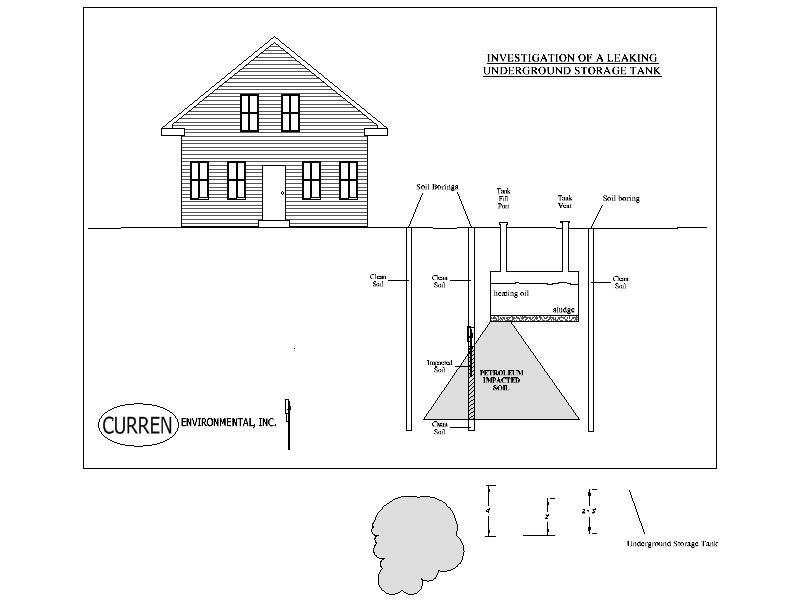 This leak, which spread under the house can run tens of thousands of dollars. The point here is you can't just see what has to be removed from the work completed during a tank removal, but as humans when we are told there is a problem, we want answers. Answers means costs, and costs have to be based on quantitative data, soil samples and measurements defining how deep, how long and how wide of an area needs to be cleaned up. This is all answered by taking the next step after tank removal which is delineating the plume area. Not every tank leaks, not every tank leaks requires remediation and the remaining tanks that do leak and require remediation must figure out.